Global warming dwarfs all other political issues. Earlier in the year I wrote a short article on the downsides of producing Hydrogen gas from our coal reserves and then shipping the hydrogen overseas as an export product. The process involved carbon dioxide as the main by-product which was to be sequestered underground in rock-capture domes. This dubious storage mechanism is like a time bomb for future generations when, albeit possibly a long time, it will inevitably escape to the atmosphere creating a massive pollution problem! 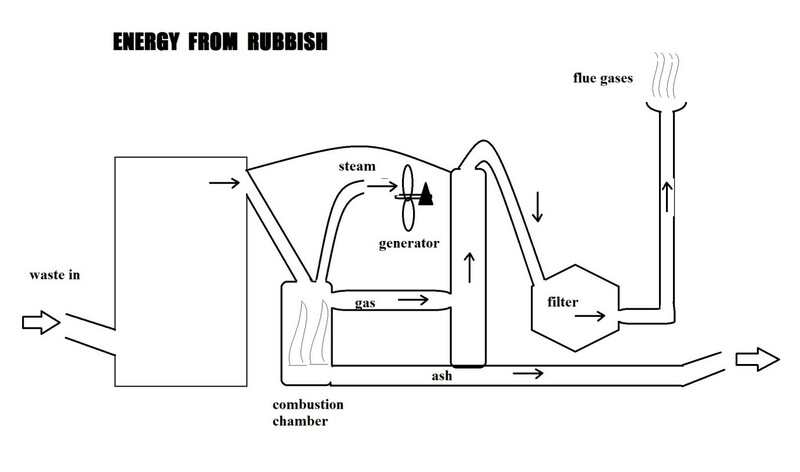 Now we have Australian Paper planning a $600 million incinerator next to its paper mill at Maryvale with the idea of producing electricity for its mill and the state power grid from Melbourne’s rubbish. However, it must be recognised that the problems of this idea remain similar to the commercial Hydrogen project. In fact, in summary, they are even worse! The flue gases will not just contain carbon oxides and water, they will contain far more dangerous chemicals that will endanger human health as well as permanently pollute the land. The most dangerous emissions can be caused by burning plastics containing organochlor-based substances like PVC. When such plastics are burned, harmful quantities of dioxins, a group of highly toxic chemicals are emitted. Dioxins are the most toxic to the human organisms. Winds will take these gases away where they are then deposited onto land or into bodies of water. A few of these pollutants such as mercury, polychlorinated biphenyls (PCBs), dioxins and furans persist for long periods of time in the environment and have a tendency to bio-accumulate; which means they build up in predators at the top of the food web. Bioaccumulation of pollutants usually occurs indirectly through contaminated water and food rather than breathing the contaminated air directly. In wildlife, the range of effects associated with these pollutants includes cancer, deformed offspring, reproductive failure, immune diseases and subtle neurobehavioral effects. Humans can be exposed indirectly just like wildlife, especially through consumption of contaminated fish, meat and dairy products. Alternative Products from Recycling: rubbish can generally be sorted into the following: Organic material for compost; Organic and bio material as a hazard; Metals; Timber; Paper, cardboard and cloth; Glass; Plastics and Brick, cement and china. Most can be usefully recycled with the exception of babies nappies, paints and lubricants which might best be burned. Metals can be sorted to iron, aluminium and others for melting and reuse. Glass can be recycled either as whole bottles and jars or melted down to produce further glass products. Organic material for compost might be added to the land reserved for sewerage farms for grass of crops. The three remaining materials might best be used for building materials for cheap houses- a definite need in our society! Recycling for cheap building materials. These new materials can only be produced by government incentive and private enterprise. However, with China now no longer taking our rubbish, we must be imaginative and creative to produce recycled products of use to society and avoiding simple solutions that create a hazard to human health and the environment. This is the better way for the future! * Chas was a former science teacher at Swifts Creek HS. How long has Gippsland been Warming? Visit my Global Warming Politics page for more information.